We defeated the Nazi Germany because our people had fought valiantly, committing many a heroic deed. Many brave men that had demonstrated superhuman courage in the battlefield, on the ground and in the air, were given the title of the Hero of the Soviet Union. 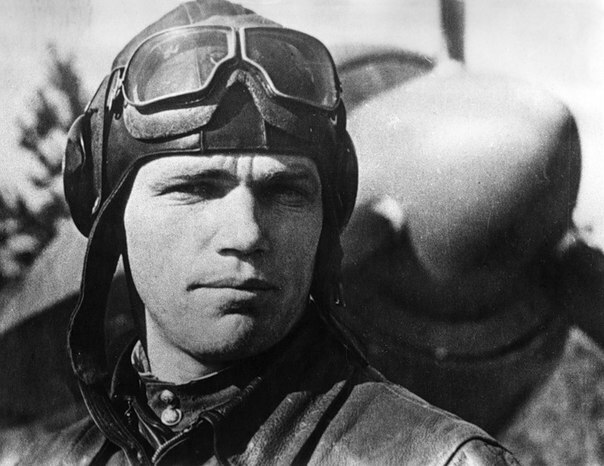 The most famous WWII ace airman was the unparalleled Ivan Kozhedub, air marshal, thrice Hero of the Soviet Union. During the war the fighter pilot completed over 120 missions, downed over 60 enemy aircrafts. His most legendary air fight dates back to April 1945. Ivan Kozhedub and his combat comrade Dmitry Titarenko were cruising Berlin airspace when they spotted around 40 fully-loaded German FW-190s. The two comrades managed to hold off the enemy till reinforcements arrived, Ivan destroyed several bombers. Thus a massive airstrike at the soviet forces was prevented. Detailed biography of Ivan Kozhedub is available in the Thrice Heroes of the Soviet Union section.